"The classic board game is back with this video game for Windows." A famous, well known board game internationally, Monopoly is a classic that bring back great memories for a lot of people who have played it. A challenging game that you can play against your friends, you must dominate the board of blocks with your businesses and locations, and take over the locations owned by your competitors. This video game depicts the classic editions of the game, no special editions, with a few updated location names that do not change the gameplay. Your job is to take over the board and earn the most money in Monopoly, and monopolize the game board from your friends. In this video game, you are able to play with your friends, but if none of them are available you and want to practice your skills, you are able to play against the computer with a various level of difficulty of your choosing. If you take Monopoly seriously, it is always good to practice and why not against a computer? This way, if you do not do so well, you can just start again. 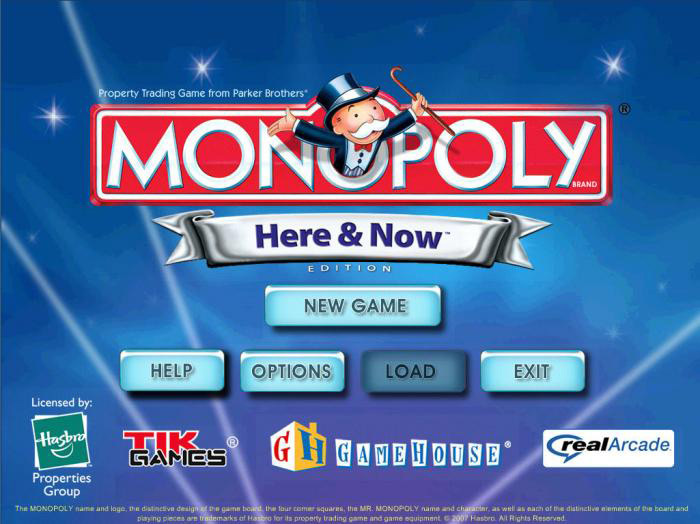 This is the "Here Now Edition" of the game, which is an updated edition of the original Monopoly game that gives you updated locations, utilities, and situations with in the game. 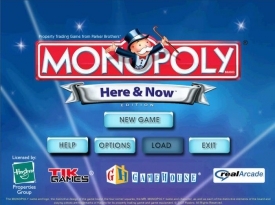 The game runs the same way, but the location names have been updated to reflect modern times better and the modern individual. This will increase the understanding and fun of the game for everyone involved. In this PC game, you can expect animated game pieces, lots of music and sounds effects, and smooth and flexible gameplay. If you do not like the music or sound effects, you can turn these off in the options menu. There are also very good auction and mortgaging features added into the game to reflect the real life game, so you can also do personal business and trades with other players.